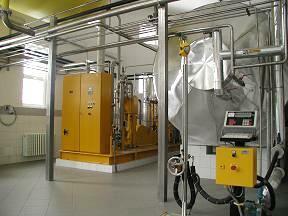 We invite you for an attractive tour about the brewery Holba in Hanušovice. We can arrange tours for groups from Monday till Saturday in times between 9:00 and 16:00. Foreign countrie´s visitors are recommended to provide with an interpreter in advance because professional tour comments are provided in Czech only. Individuals may join the bigger groups. In any case, the tour details should be arranged over the telephone at least 14 days in advance. In 1874 a young brewer Josef Mullschitszský founded a modern steam brewery in a district of Hanušovice called Holba in a gorgeous scenery of Jeseníky mountains. 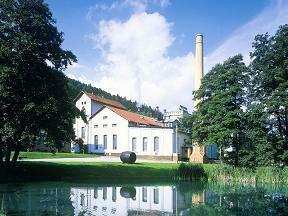 The company that started the brewery was called "Brauerei von Mullschitzký & Comp. zu Hannsdorf - Halbseit". In the very first year of its history, the brewery produced broadly 15.900 hl of beer and in the coming years the production increased and export was expanding. Since 1882 the brewery existed in Hanušovice under a name of "Brauerei von Chiari & Co. zu Hannsdorf - Halbseit". 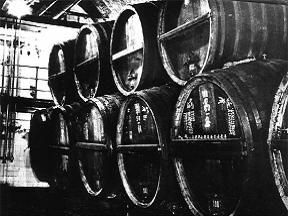 In the year of 1886 the brewery had a production of 23.006 hl. In 1907 three breweries were united – Hanušovice, Šumperk and Třemešek – into an economic subject and all the properties and rights became a part of join-stock company "Nordmarische Brauerei und Malzfabrik, Aktiengesellschaft in M. Schönberg". In the years 1910 – 1911 the company made an yearly product of 23.006 hl. Since 1918 the company was renamed into "Severomoravský pivovar a sladovna, akciová společnost v Šumperku". 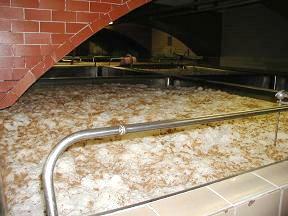 In 1930´s the Hanušovice brewery with a yearly product of 108.775 hl became the biggest brewery in the Moravia. Just before the military occupation of the Czech area by Nazi armies, the yearly product of the Hanušovice brewery was 170.064 hl. 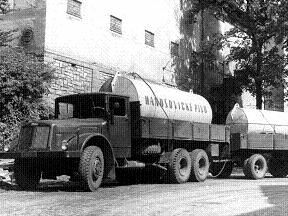 After the nationalization in 1948 the Hanušovice brewery had a name of "Pivovar Hanušovice n. p." Later the Moravian breweries became united and so did the Hanušovice brewery. It became a part of the national company "Severomoravské pivovary Přerov". 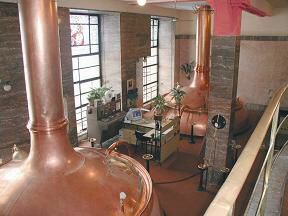 The brewery Holba has been one of the ten biggest breweries in Czech Republic. 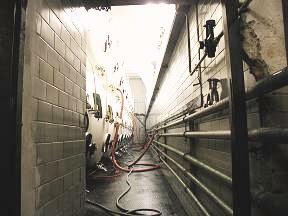 Since 1989 the brewery exists in the market environment to which it has fast adapted and has made most of the competitive advantages of the production that brings an increasing business success. Enlarging ranges of assortment and receiving new possibilities of sale are connected to a dynamic production increase. The brewery with its extraordinary location in the Jeseníky mountains foothills does not forget the environmental issues. These are percept as a future promise, which is supported by the special environmental projects of the brewery and their contribution for preservation of the natural balance of the environment. 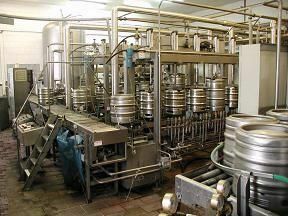 The year of 1993 is the important milestone of the modern history of the brewery, the year of building the so-called cylindroid tanks, in which the process of brewing is perfected and controlled by modern computer systems. Since 1st April 1996 the brewery has a new commercial name of Pivovar Holba, a.s. This is linked as well to the beginnings of building up the trademark of Holba, which is now one of most renowned brands of beer especially in Moravia. 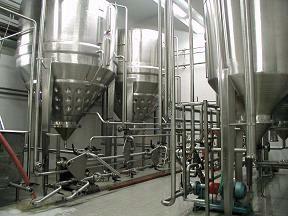 Pivovar Holba recently produces beer Holba Classic 10 (alc. 4,2 vol. ), Holba Šerák 11 (alc. 4,7 vol.) and Holba Premium 12 (alc. 5,2 vol.). Take the road II/369 to Hanušovice, drive through Hanušovice up the road II/369 in direction Ruda nad Moravou, pass under the railway bridge and 50 m after the bridge turn right in direction brewery. Lay-by is located at small distance from the diversion on the right side of the road. Take the road II/312 in direction Hanušovice, in Hanušovice keep the straight road to the level crossing after that turn right to the road II/369 (in direction Šumperk, Ruda nad Moravou), keep the road II/369, pass under the railway bridge and 50 m after the bridge turn right in direction brewery. Lay-by is located at small distance from the diversion on the righ side of the road. Take the road II/446 through Bratrušov and Kopřivná to Hanušovice, there turn left to the road II/369 (in direction Ruda nad Moravou), pass under the railway bridge and 50 m after the bridge turn right in direction brewery. Lay-by is located at small distance from the diversion on the righ side of the road. The nearest bus stop – "Hanušovice, viadukt", ca 500 m from the brewery. The nearest railway station – "Hanušovice", ca 1 Km from the brewery.